Spring is here! Clean up your website. It’s that time of year, when we take time to clear out the garage, wash the windows, weed the yard and make a checklist of things that could use a little sprucing up. Your website should be on that list. The web changes about as fast as your iPhone does! An outdated design or website can have the same effect on a web visitor that a dirty carpet or broken plumbing can have on a potential guest. 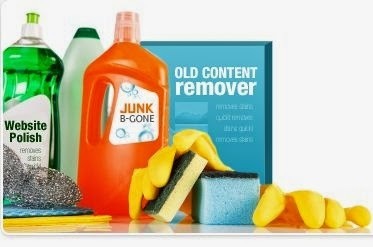 If you don’t give your website a good spring cleaning, you could be left in the dust. Is your website more than 3 years old? With the proven and permanent use of mobile devices, touch screens and even attention spans, site design trends have changed. Visitors prefer a more visual style today. Using flat design elements, engaging graphics and a responsive structure for screen size auto formatting are part of the new era of beautiful, functional design. If this is you, see what kinds of options dotLaunch offers and give us a call. One of the best ways to tell your potential customers that you have nothing going on is to have empty site features. Do you have a calendar on your website that's empty? Was your last blog post written in the dark ages? Does your twitter account comment on something that happened three years ago? Adding content on a regular basis, however small lets your fans and potential customers know you're alive and well and they will be much more likely to return. Check for outdated outgoing links on your website. Are you still using MySpace regularly? Probably not. Do you link to a tips or instruction page that no longer exists? If you do, it’s time to get rid of those links. Never send your website visitors to dead ends. Go through all of the outgoing links on your site. For each one, ask yourself if you’re really offering your visitors value by sending them to the website in question. In most cases it’s usually better if they stay right where they are. Your website is where you want your audience to congregate. Don’t send your traffic off on a wild goose chase if you don’t have to. It’s always good to update your website copy - especially your company or personal bio - yearly. This way you can keep your important details or business milestones current. In addition, your products or services may have changed or your policies need updating. It’s also always helpful to get a fresh look on the content you’ve written on your website. It’s worthwhile to go over your copy to see if it still relates to today's changing world. One of the mistakes I see most often is to have outdated contact info on your website. Don’t miss out on important opportunities simply because nobody could get a hold of you. Check the phone numbers, email addresses, and contact forms and staff members on your website. Make sure they all belong to the right person and go to the right place. A call-to-action is simply when you ask your website visitors to do something, such as sign up for an email list, buy a new product, download a guide, or look at our new service. Call-to-actions are very important. You want to make sure that you are guiding your visitors in the right direction or giving them important information. You also want to make sure that you’re not still encouraging your visitors to view your 2013 product list. Update your calls to action so they reflect your current website goals. Looking for an update? Let us know.